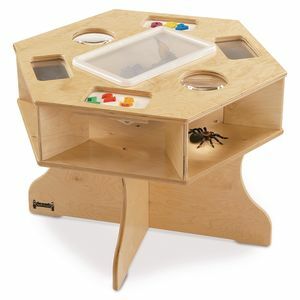 Curious scientists can explore magnets, magnifiers and mirrors at this 6-sided table. 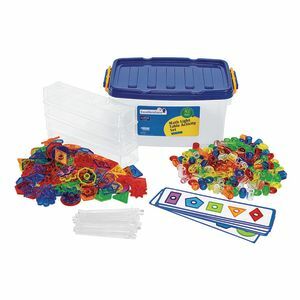 Perfect for classroom science centers. 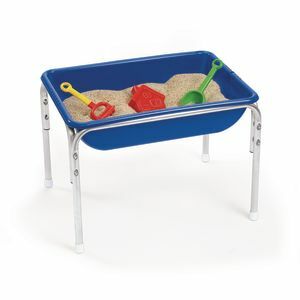 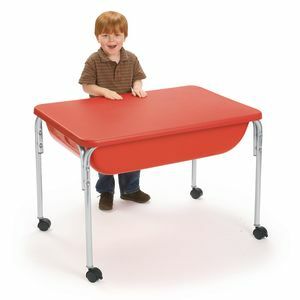 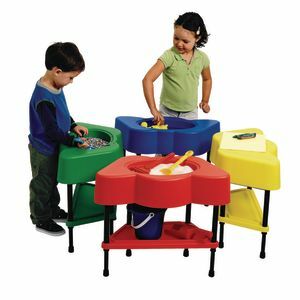 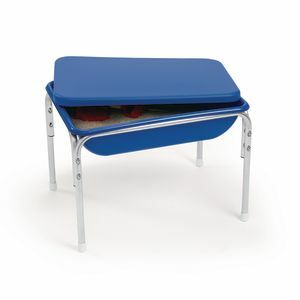 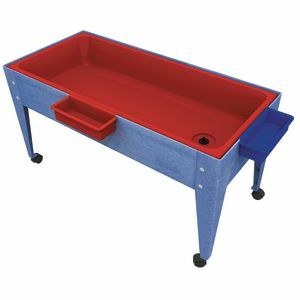 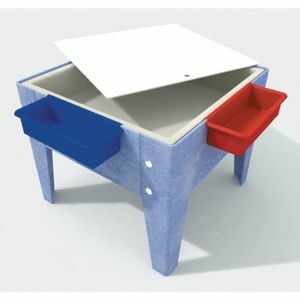 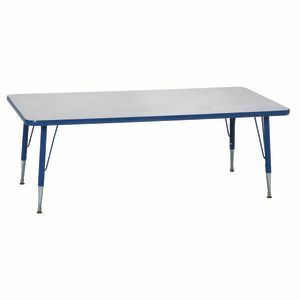 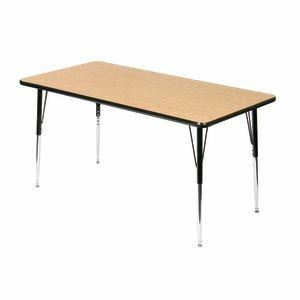 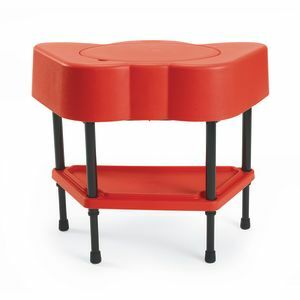 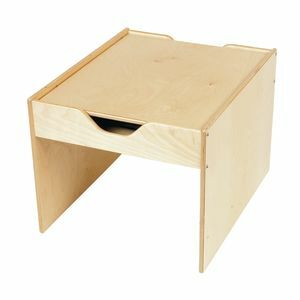 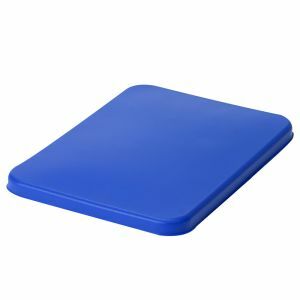 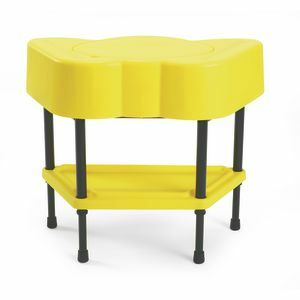 Stow science supplies in the included blue tub Table measures 25-1/2"L x 30"W x 21"H Lifetime warranty PreK-K Core Standards SCI (P) Collect, describe and record information using a variety of tools. 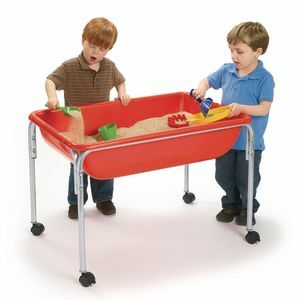 SOC (P) Cooperate with others by interacting appropriately, build friendships and share. 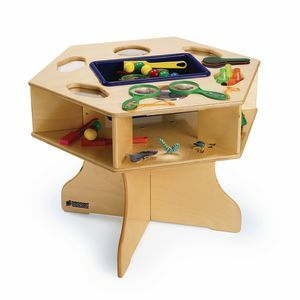 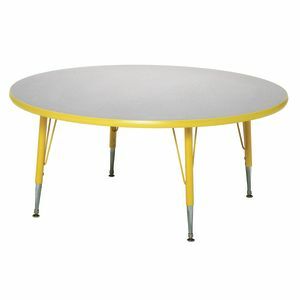 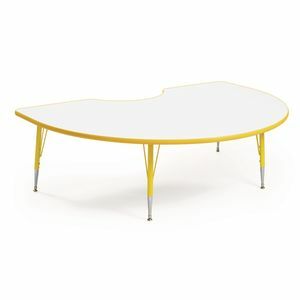 Curious young scientists can explore magnets, magnifiers, and mirrors at this six-sided, bilevel wooden table. 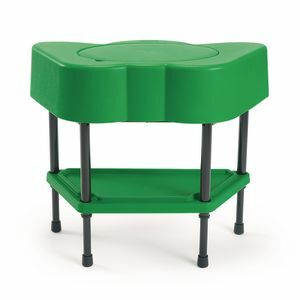 Keep supplies (not included) visible but neatly stowed away in the center cubby tray with see-through lid. 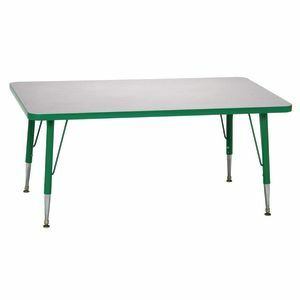 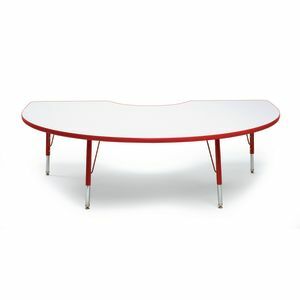 Table is 30" x 25.5" x 21" high. 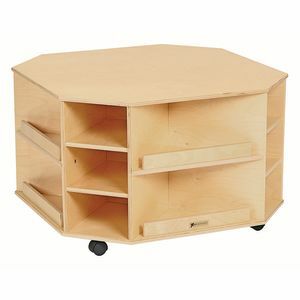 Simple assembly.